A hardy perennial with pretty fluffy golden heads on 2 to 3-foot stems in late summer and autumn. Butterflies and bees, also Hoverflies love this flower and they eat pests like greenfly and blackfly, so a good companion plant in the organic garden. 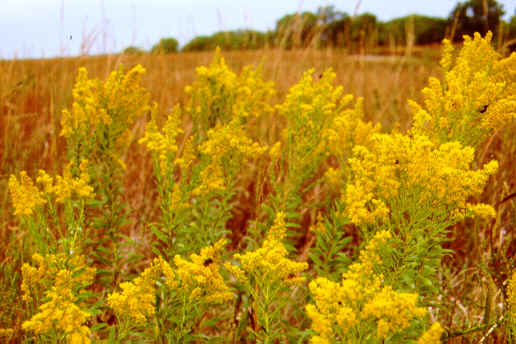 The plant quickly spreads to make a carefree patch, but it can be invasive so should not be planted near sensitive environmental areas where it may invade.